We’ve long known that crossovers have made a significant sales dent in traditional cars, specifically sedans. But what about minivans? For years, these also car-based minivans served as the primary family vehicles for millions of Americans. Not as much anymore. According to Automotive News, Fiat Chrysler Automobiles will be eliminating one of three production shifts at its Windsor, Ontario assembly plant, home to the Chrysler Pacifica, Pacifica Hybrid, and Dodge Grand Caravan. The shift will be dropped starting in September and 1,500 jobs will be cut. This news does not come as a big surprise considering FCA already idled the plant for three weeks earlier this year because of decreased minivan demand. The facility will be idled again next month for two weeks for the same reason. When the Ontario plant runs at full capacity, it produces nearly 1,500 minivans daily. Problem is that amount of Pacificas and Grand Caravans is no longer needed. Sales of the Pacifica in the US last year was nearly the same from 2017, but dropped by three percent in Canada. However, US Pacifica sales have dropped by 24 percent through February this year. The Grand Caravan is in slightly worse shape with a 27 percent drop. 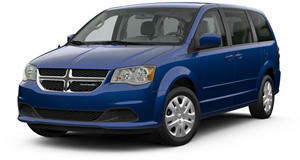 Ironically, the Grand Caravan was Dodge’s best-selling vehicle last year. But it appears consumer taste in family vehicles is shifting even further away from minivans. There’s also been a slight downturn in overall new vehicle sales in the US. This combination could prove to be more problematic for the future of FCA’s minivans, but it’s still too early to know for sure. 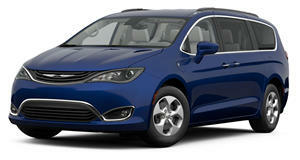 Dodge apparently has plans to replace the Grand Caravan in the near future with another Pacifica-based minivan that’ll revive the Voyager nameplate. But the question remains whether or not Ontario will be tasked with building that new minivan. In the meantime, FCA will respond to current market demand, or lack thereof, for its minivans by reducing production in order to not only save money but also to reduce excessive supply. There’s no point in building vehicles that dealerships can’t sell.